There is something special about being at an event that calls itself the “Super Bowl of Swine”. 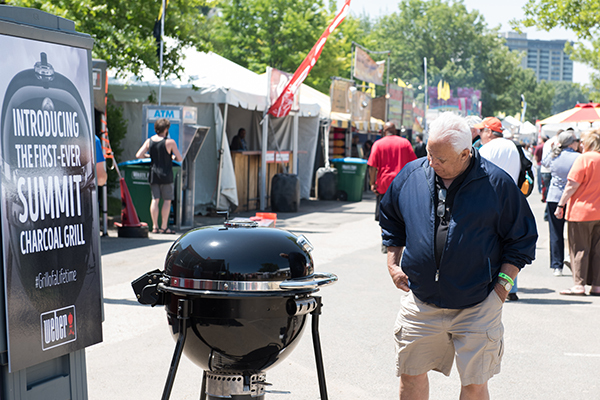 It had been a long two years since the Weber Mobile Grill Academy was at Memphis in May, but in that time we were developing something really special at R&D that was going to blow the lids right off of the World’s Greatest BBQ Pit Master’s…the Summit Charcoal Grill! 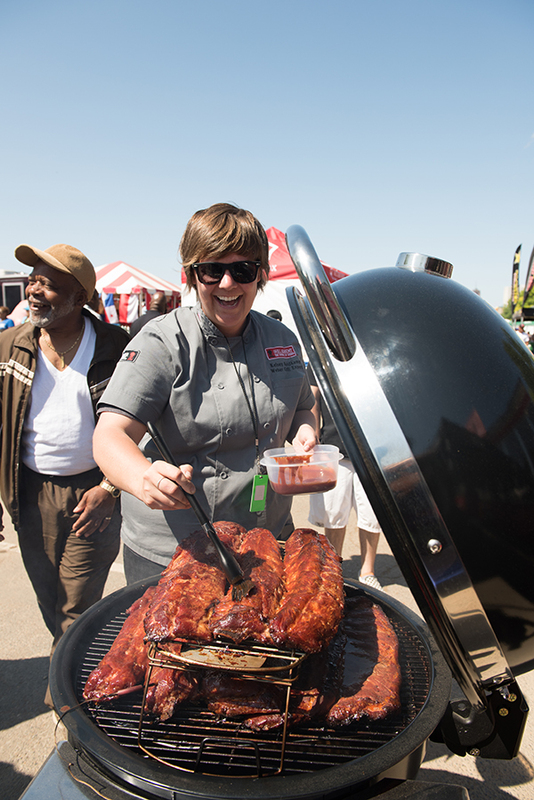 Weber unveiled the Summit Charcoal Grill on April 6th, so many of the BBQ Guru’s had a month to research and discuss it before getting the opportunity to see it in Memphis. Before we could even take the first SCG off the box truck we had a crowd waiting to catch a glimpse of the evolution of charcoal grilling! Our event actually began on Tuesday, as the entire time we were building the Mobile Grill Academy we were answering questions about the SCG! We didn’t quite know what to expect from these aficionados of BBQ, but in a nutshell the responses we received were fantastic! Majority of these men and women were born around a BBQ and to see them get excited standing around a grill again, was a major home run for all of the Weber staff that was at Memphis in May. Along with answering questions about the SCG we were also demonstrating how easy and versatile it is to set up the SCG for different cooking methods. We really wanted to wow the crowd so everyday we loaded 8 racks of ribs and showcased the capacity of the SCG (yes, on one grill). We also put 6 chickens on one SCG, why not! On Friday and Saturday we had our award winning author, Jamie Purviance, conducting demonstrations and promoting his new cookbook “New American Barbeque”. Jamie taught the crowd (and me) how to properly prepare a Boston Bacon Fattie (p.112): Italian sausage stuffed with artichoke hearts, sun-dried tomatoes, Parmigiano cheese, all rolled up and wrapped in BACON! My favorite part of the day, getting to sample! 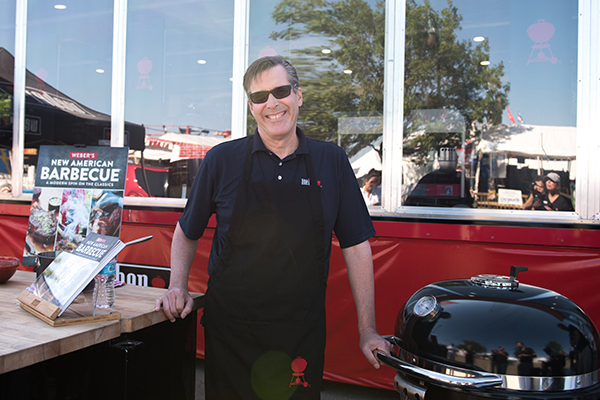 The real excitement took place inside the Mobile Grill Academy where every guest that stopped by had a chance to win a brand new Summit Charcoal Grill! We had over 1,000 entries and one lucky person now has a SCG in their backyard, congratulations! Overall Memphis in May was an absolute blast! We had near perfect weather (minus the mud fest on Thursday) and the smell of BBQ lingered in the nostrils all weekend. What can be better than that! Congratulations to all the winners and competitors at Memphis in May! We will see you again soon! If you would like more information on the SCG please check out our website and stop in at your local dealer to learn more.